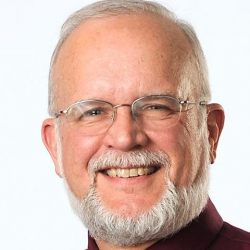 Throughout Ned Claxton's career as a family physician serving families in the greater Lewiston/Auburn area, he has worked to improve the health of individuals and families, taught a new generation of family physicians, and partnered with others to improve the quality of care at Central Maine Healthcare. 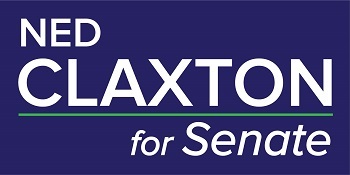 Because of these experiences and work on local and state health efforts, Claxton has a firsthand understanding of the need for health care coverage, the pain of the opioid crisis, the cost of prescription drugs, and the need to rebuild our public health care system. As a small business owner and job creator, he has seen firsthand how varied social and economic issues challenge families, and how the state can play a role in supporting or complicating their lives. A good paying stable job is a critical need. Without it, families struggle; with it, they can prosper. Rising property taxes are crippling the middle class. Politicians in Augusta have been passing the bill to local communities, meaning seniors and working families have been left holding the bag. I will make lowering property taxes a top priority. I know what it takes to create jobs in the area. I've done it in the community with my small businesses, and I will take that know-how to Augusta. Many complex issues face us in Maine today, including the importance of the will of the voters as expressed in citizen referenda, pressing environmental issues, and the needs of our veterans. I am committed to finding solutions to these and other key issues while balancing the budget. For decades, patients have trusted me to work with them during good times as well as difficult times. Everybody deserves access to quality, affordable healthcare, no matter their economic situation. Working together we can help make Maine a better place to raise families and grow businesses. Too much division and too many rigid positions are getting in the way of finding solutions that will help working Mainers make progress. With his experience starting and growing small businesses, his familiarity with the complexities of health care issues, and his record of being a trusted listener, Dr. Ned Claxton will contribute immensely to the challenging work of a citizen legislature. For decades, patients have trusted Dr. Claxton to work with them during good times as well as difficult times. He's listened to their concerns and issues and by working together he's helped them find ways to help them get closer to where they want to be – physically and emotionally. All of Dr. Claxton's professional success has been based on working with other people, whether to start and grow a medical practice, improve a physician training program, or improve health care quality. Dr. Claxton will bring that commitment to working together to the legislature, to find other legislators who think that way, and to come up with better solutions. Too much energy now goes into staking out positions and defending them and not enough goes into helping the working middle class of Maine. We can do better in supporting and helping Maine’s people. 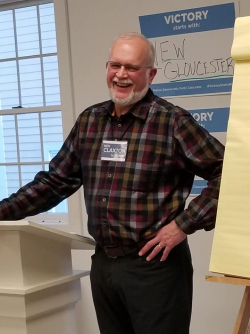 Ned Claxton will rise above partisan bickering and work collaboratively to deliver real solutions to the challenges facing everyday Mainers.